Chiropractic is a health care practice that focuses on the relationship between the spine and the body’s overall function. Chiropractors employ hands-on therapy called manipulation (or adjustment) as their primary means of treatment. Chiropractic is a holistic approach to treating and maintaining whole body wellness. It is believed that the body has the inherent ability to heal itself when the spine is properly maintained. 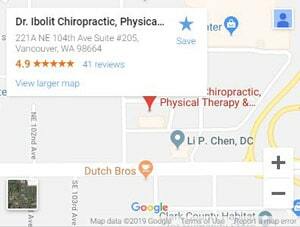 Many associate chiropractic care with back pain in Vancouver, WA. However, back pain is just one of many symptoms a chiropractor can treat. The history of modern chiropractic care began in 1895 when Daniel David Palmer encountered Harvey Lillard. Harvey was a janitor who reportedly lost his hearing when he felt something give way in his back. Palmer manually adjusted Lillard’s neck, restoring his hearing. Because of this remarkable success, he continued to develop and refine the technique now referred to as “chiropractic”. There is a strong historical precedent for utilizing spinal manipulation to heal. From the Ancient Greeks and Chinese to Mayans and Native Americans, numerous civilizations have recognized the importance of adjusting and caring for the spine. Those who understand Greek, chiropractic’s name offers a strong hint as to what it involves. The term is a combination of two Greek words: “cheir,” which means hand, and “praxis,” which means action. As its name indicates, chiropractic is a form of health care that is primarily completed by hand. It uses manual manipulative treatments to adjust misalignments of the joints, particularly those in the spinal column. Chiropractors believe that misalignment of the spine negatively affect the nerves, muscles, and organs. This displacement is responsible for triggering a wide array of discomforts and disorders. Correcting alignment of the spine restores healthy function and allows the body’s systems to operate effectively. Because a healthy nervous system is necessary to properly control and regulate body function, proper care of the spine is critical. The nervous system controls the function and movement of our muscles and bones and supplies signals to regulate internal organs. Because the spinal column houses and protects much of the nervous system, it is necessary for the spine to move and function properly. If an injury or structural problem places undue stress on a spinal area, the result can be joint pain or symptoms of nerve pinching in the spine or anywhere that nerve travels. Injured joints are also prone to arthritic breakdown and degeneration. Whether you’ve been in an auto accident, experienced an on-the-job injury, or have issues stemming from a long-term condition, Dr. Ibolit and his experienced staff are committed to you and your recovery. Being a full-service chiropractic, physical therapy and massage facility allows you to get the comprehensive services you need, all in one place. We even have staff members who are fluent in Russian and Spanish. Your health and recovery are in capable hands at Dr. Ibolit Chiropractic, Physical Therapy & Massage.